HG Status?! 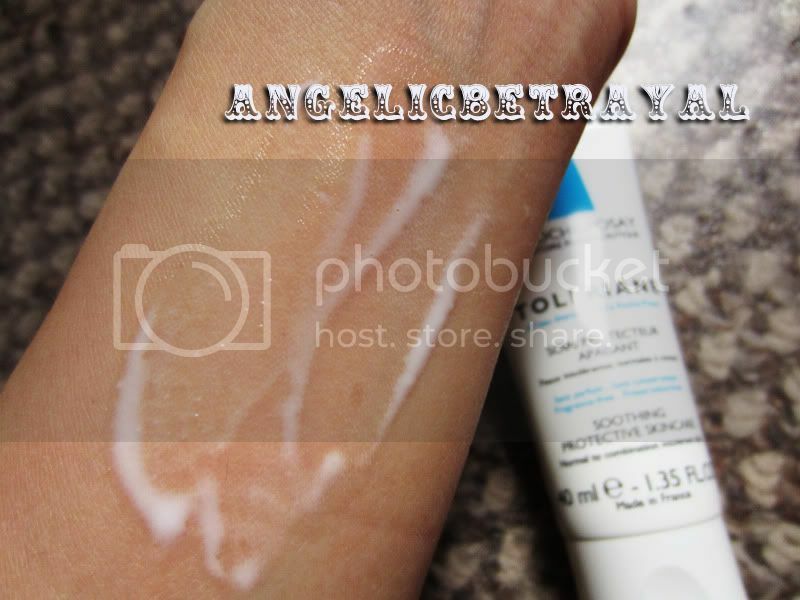 La Roche Posay's Toleriane Makes The Cut! I belong to that group of beauty bloggers who can never seem to settle for a product because there can always potentially be a better one. HGs, or holy grails, are rare and highly coveted because they are deemed the best of the best, the crème de la crème of a blogger's vanity. I present to you, quite possible the first HG product I have ever found for my skin: La Roche Posay Toleriane Soothing Protective Skincare. La Roche Posay is a French pharmaceutical skincare brand that has taken the online beauty community by storm and can be found at American drugstores such as CVS, Walgreens, and Rite Aid. 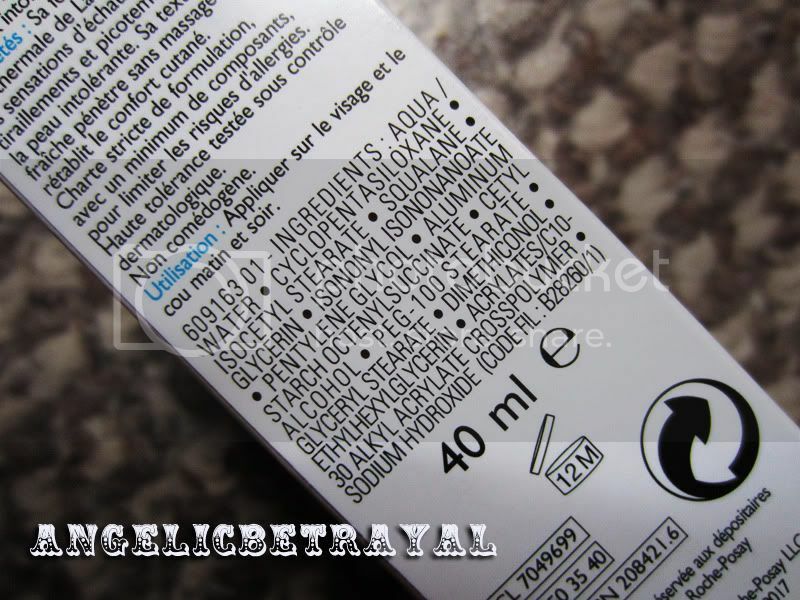 I feel that it is interesting to note that L'oreal owns La Roche Posay. Amongst the brand's claims to fame are their Effaclar line, suited for acne prone skin, and generally their no frills approach to skincare. By no frills I mean no fragrances, no preservatives, and the use of thermal spring water from a French village called La Roche Posay. Okay, maybe the claims about the amazing powers of spring water are frills but you can't blame them for trying. A month or two ago, my normally oily, acne prone skin was suffering from redness and irritation. I attributed it to the winter cold air sucking all the moisture out of my skin and turned to Toleriane to solve this problem. I believe I first heard of this product from Sandra of 15 steps, then a beauty blog who I absolutely adore. 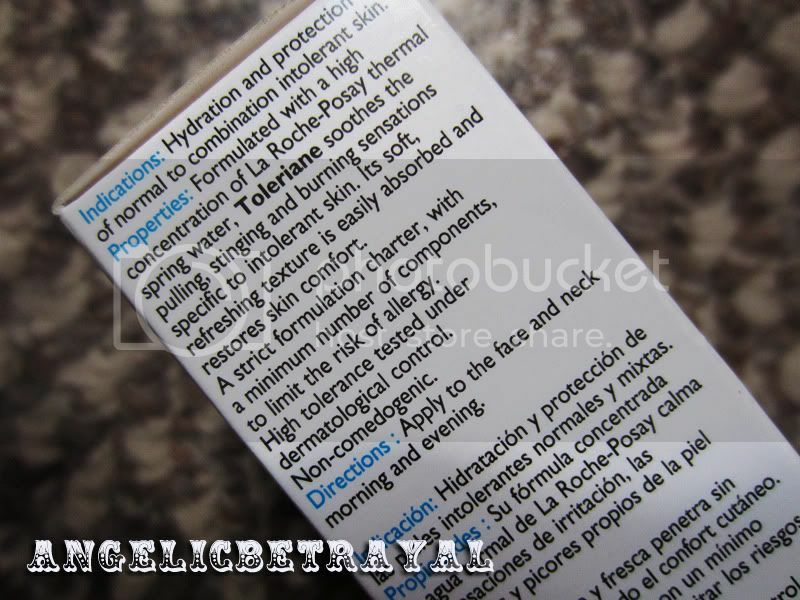 Toleriane is geared towards combination, sensitive skin which sounded like just what I have. La Roche Posay has a few other versions of this product for different skin types, Ultra for dry skin and Toleriane Fluid for less moisture. It is almost always crucial for a company to list their ingredients for me to even consider purchasing or repurchasing a product. There are a lot of ingredients which I can not comprehend to be honest but I know squalane is good for locking moisture. I try to avoid any skincare with denatured alcohol as it can irritate skin but I am not sure if cetyl alcohol has similar effects. Dimethicone is another ingredient I try to stay away from because it mimics the appearance of smooth skin but doe not actually deliver long lasting benefits. Not to mention, dinmethicone laden products tend to break me out. The consistency of the moisturizer is a light, milky fluid which is easy to spread over the skin. The amount shown above is typically how much I would apply to my skin. Sometimes I am a little generous with how much I apply if my skin is feeling extra dry and temperamental. As you can see, the fluid blends out easily and absorbs quickly. I have no sticky residue on my skin after patting the fluid evenly over my entire face. The only minor negative associated with this product is that it gets used up quickly. I have been using this for a little over a month and there seems to be only enough product to last two more weeks. Costing close to $30 a tube (I bought mine when CVS emailed me a 25% coupon! ), this product is not entirely wallet friendly. That being said, I use this day and night whereas I typically use a different moisturizer for each time of the day so everything seem to last longer. The fact that I can use this product up so quickly means that my skin adores it and that justifies the cost. I will definitely repurchase this moisturizer next year when the colder months approach again. 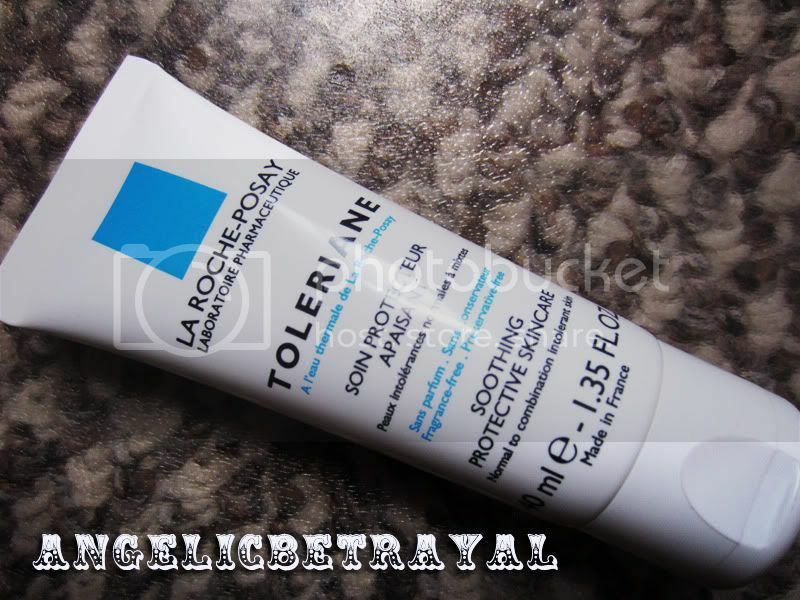 I highly recommend Toleriane to those of you who have oily, acne prone, sensitive skin because it has been the single most effective product I have used on my skin... ever! So this is more of a winter product (for you)? The price tag on La Roche Posay products drive me away from purchasing, but if this HG material...I think I'm going to have to reconsider! I think I would mainly use this in the winter because it might be a teeny bit too much moisture for the summer. I want to try the Toleriane Fluid for warmer weaether. The price is not TOO high and if you factor in a 25% discount, the price is a little more than $20. Personally I would spend up to around $50 for a good face moisturizer because I think good skincare is important. If you try this, tell me how you like it! oh very nice review, i saw sandra mention this and it looked promising! glad it has more back up LRP is an excellent skin care brand i have found. i love their sunscreen! 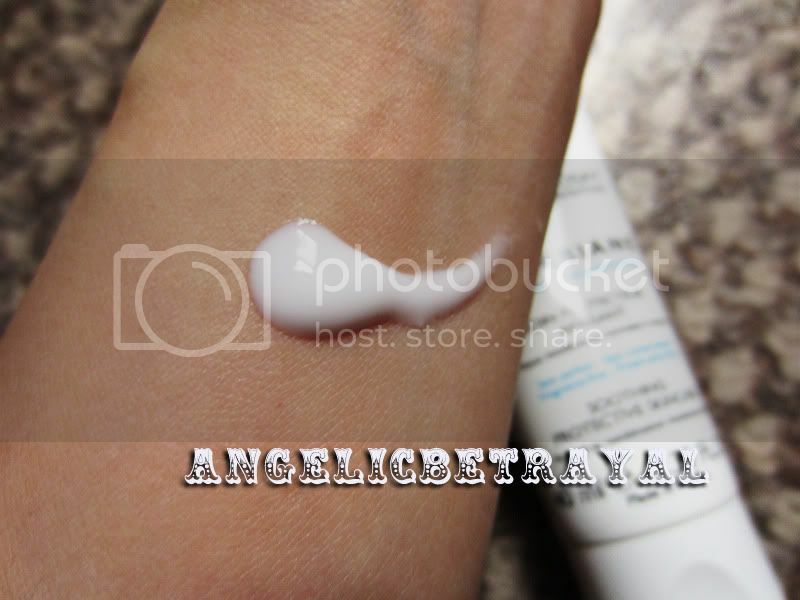 I assume you're asking if this is the only moisturizer I have tried from La Roche Posay. If that's what you're asking, then yes! I will definitely try out their Toleriane Fluid when it gets warmer though. Ah you convinced me! I must try this! I've been wanting to try something from this brand for a while & I am in need (fine, "need" may not be the right word) of a new moisturizer. Thanks for this review!